Ideal resort in Tarkarli located at Malvan beach, Just like a home stay in Malvan. We offers scuba diving in Malvan and water sports in Devbag near Tarkarli. Conceived back in year 2009, An ideal Tarkarli resort comes in category of homestay in Malvan. Right in the nature’s lap at Hotel Malvan Beach, experience a relaxed and laid-back holiday time that is equally enchanting just like the natural splendor around the Malvan Beach. We are group of passionate souls who aim at offering simply the best and the most serene experience clad in our modern amenities in order to ensure a vacation, you always desired. Conceived back in the year 2009, this amazing budget hotel in Malvan is inspired by all that you would get at a resort. We offer the finest facilities in order to make our guests unwind and slow down from the mad city rush to spend some quality moments close with the nature and of course the loved ones. This ideal resort in Tarkarli overlooks the magnetism of the mystical sea, around the lush green surrounds that typically envelops this compared to all Malvan hotels. 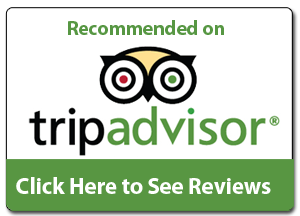 The hotel is located in the heart of the city, making it an ideal choice for many travelers who prefer to stay in the finest facilities, without the worry of a huge check. 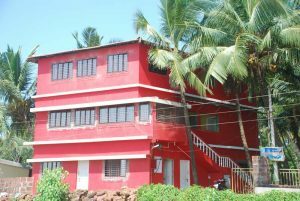 This Malvan homestay is divided into 10 well appointed and plush rooms that offer a creative design, elegant offerings, comfortable arrangement and all that you would need to make this stay a great memory to be cherished for a lifetime. The entire space along with a feel of old-world designing, flower-lane patios as well as a natural envelop would double your stay and experience no matter you are on a business trip or a leisure outing with your family. Hotel Malvan Beach is also the most preferred option to dig into the authentic and lip smacking Malvan and Konkan cuisine that would scintillate your taste buds making you ask for some more. You get to choose from dinning out or order hot and fresh meals over to your rooms. Just give our skilled and highly motivated team a chance to pamper all your needs, throughout your stay at this resort in Malvan. We would arrange the entire tour in order to offer a well planned and an exciting tour to enjoy the beauty of the enchanting sea and the other prominent places around it. Step ahead and sink in to opulence at the beach paradise perfect for you, right here at Malvan!